Best Season : September- October, March-April. 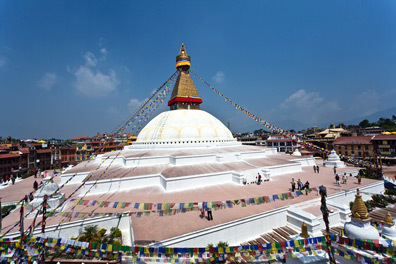 Day 01 : Arrive International airport meet and transfer to selected hotel in Kathmandu. Day 03 : Fly to Lukla early in the morning (2827 mtr. 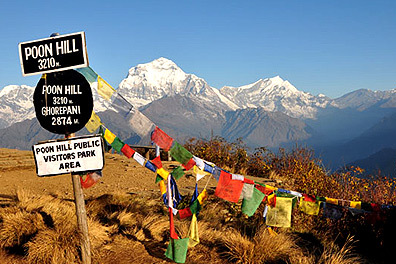 35 minutes flight) and then trek to Phakding (3 hours walking 2630m). Over night at lodge. Day 04 : Trek to Namche Bazaar (3443 mtr. 5/6 hours walking). Over night at lodge. Day 06 : Trek to Tengboche (3820 mtr. 5/6 hours walking). Over night at lodge. Day 07 : Trek to Pheriche (4230 mtr. 4/5 hours walking). Over night at lodge. Day 08 : Trek to Lobuche (4895 mtr. 6/7 hours walking). Over night at lodge. Day 09 : Visit to Kalapattar (5545 mtr. 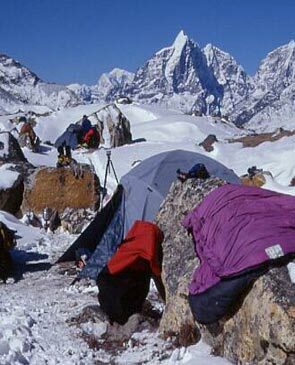 early in the morning for the best Everest view back to Gorakshep take breakfast trek to EBC 8 hours). Over night at lodge. Day 10 : Trek back to Thyanboche (7/8 hours walking). Over night at lodge. Day 11 : Trek to Monjo (7/8 hours walking). Over night at lodge. Day 12 : Trek back to Lukla (3/4 hours walking). Over night at lodge. Day 14 : Fly back to Kathmandu. Over night at accommodation in Kathmandu.